Shipwrecks, treasure, outlaw gangs; vanished native peoples and their beachfront mounds; pineapple plantations and cattle drives – the history of Martin County is an exciting excursion along the path of the first settlers. Once the railway finally reached the Treasure Coast, tropical produce and eager tourists, all blessed by the plentiful water and sunshine, flocked to busy platforms. Formed as Martin County in 1925, this southern paradise, easily accessible by water, air and highway, now includes Hutchinson Island, Sewall’s Point, Jensen Beach, Palm City, Stuart and surrounding communities. 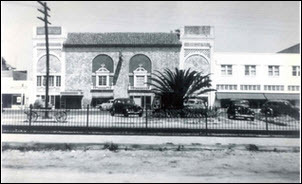 Historic sites are scattered throughout the community – from the beachfront to the inland areas. 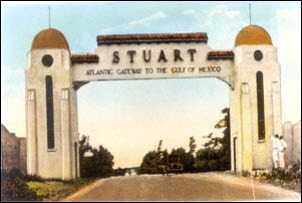 Along the coast, the Elliott Museum, originally dedicated to spotlighting the area’s history of transportation, houses an extensive antique car exhibit, along with vignettes of Florida heritage and treasures. 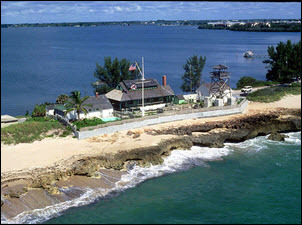 Recognizing the importance of shipping routes in the area, a US Lifesaving Station was established in 1875 as the Gilbert’s Bar House of Refuge to serve as a haven for sailors shipwrecked along the coastal rocks and reefs. 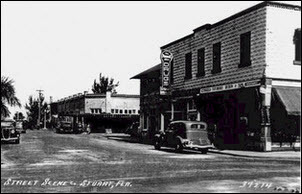 This site, along with several other local buildings, has earned placement on the National Historical Register of Historical Places. 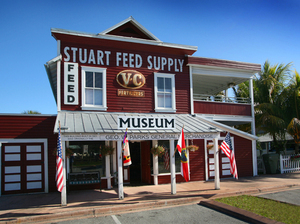 Farther inland, the City of Stuart provides a walking map of its historic section. Many of these special local treasures have been captures by renowned local artists whose work is regularly featured in museums, festivals and galleries.